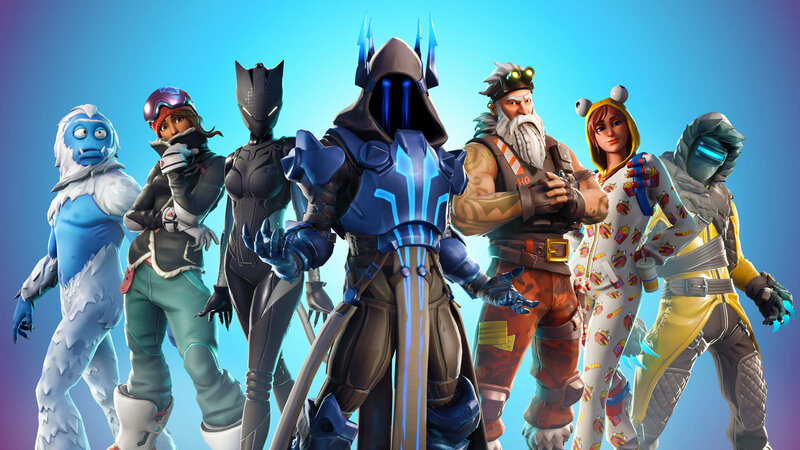 With the increasing popularity of Fortnite, developers are keen to add new and attractive features in the game to keep the audience occupied. Perhaps the one thing which has kept Fortnite on top of Battle Royale games is its constant improvement and Creative design gameplay. Now the game has received an unimaginable feature. Players from different platforms (PS4 & Xbox One) will be able to play the game using crossplay. As a matter of fact, this option has been integrated in the matchmaking. If you want to drop this feature, you’ll have to opt-in. Epic game has fused this system in the game settings and if you want to play old-style, simply go to setting and opt-out. Players who like to keep playing standard matchmaking Battle Royale with limited time modes should select the option from settings. AS mentioned above Fortnite has done the impossible. With the latest v8.10 patch notes, players can now enjoy the game with their friends playing on different platforms. It has been added to the default settings. For players who want keep playing the matchmaking, they will have to opt-in and enable crossplay. 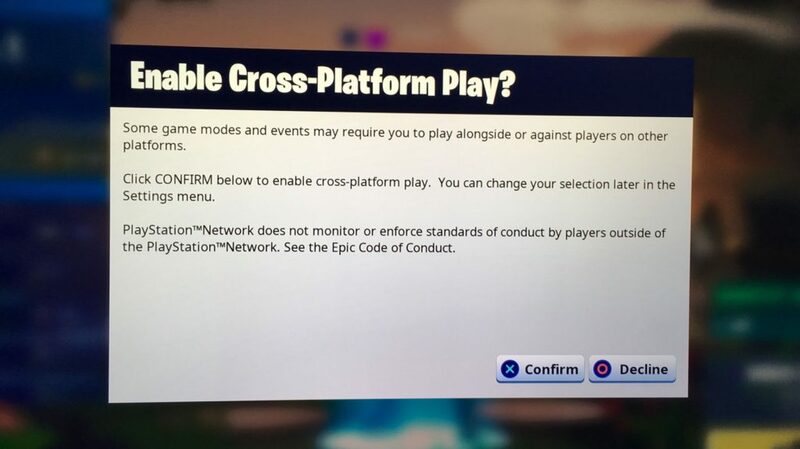 As you can see in the above image, when you’ll start the game for the first time after the latest update, you’ll face a message displaying that “Do you want to enable cross-platform play?” Players who enjoy regular matchmaking should confirm this option. You should be careful though. The message also indicates that you can change the settings later on but we have not found it in settings to alter this option. If you so choose to decline this feature, then you won’t be featuring in regular matchmaking of Fortnite. This will leave you only two options to play in: Playground and Creative modes. That is why we suggest that you should check this option when it appears. If you have declined this option by accident, look for this option in the settings. Participating in crossplay is simple enough. Simply, register yourself on Epic Games account on their official website. The friend with which you want to play Fortnite on different platform must register him/herself too.